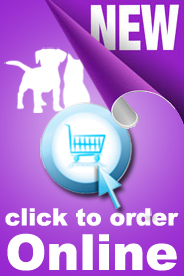 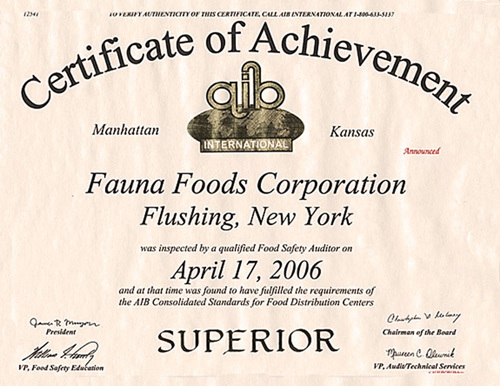 Fauna Foods is committed to providing its customers and consumers with the best in product quality, handling and service. 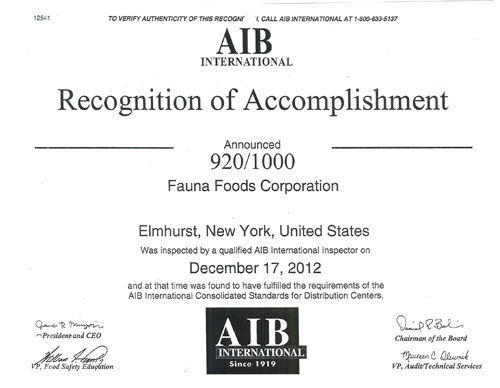 Serving as our goal, Fauna Foods is enrolled in an inspection program with AIB International Department of Foods Safety and Hygiene. 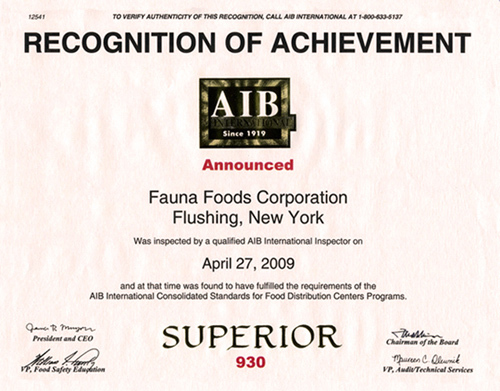 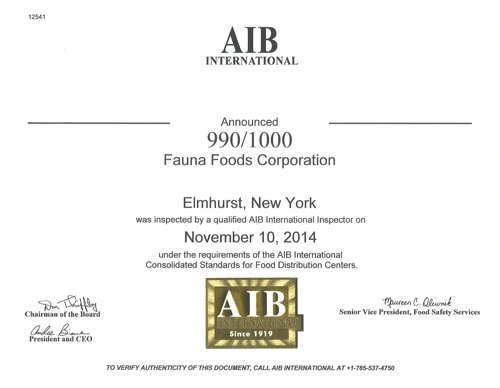 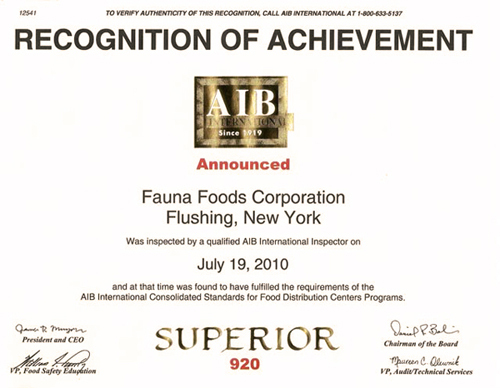 Fauna Foods Corp. is proud of its achievement of a: “Superior” Rating. 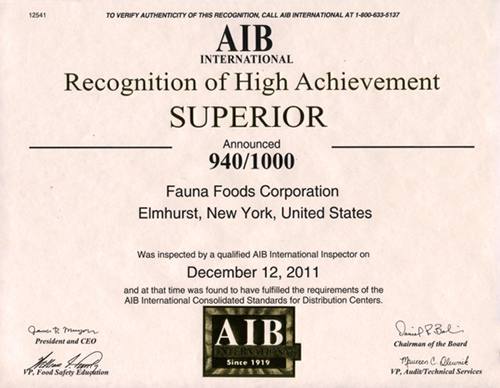 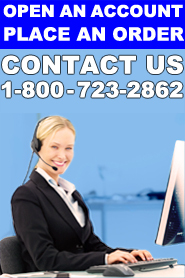 “Superior” is the highest classification rating possible. 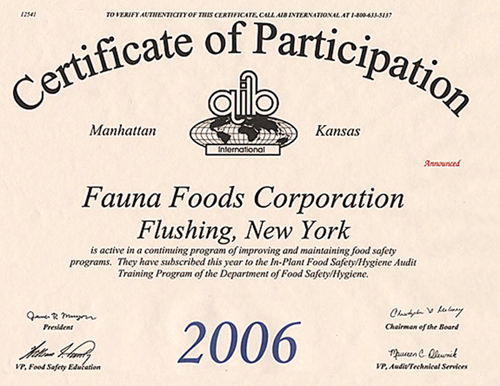 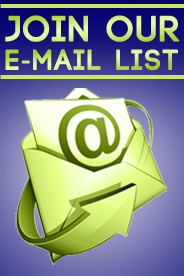 Due to these stringent operational procedures, infested product cannot be returned to Fauna Foods.